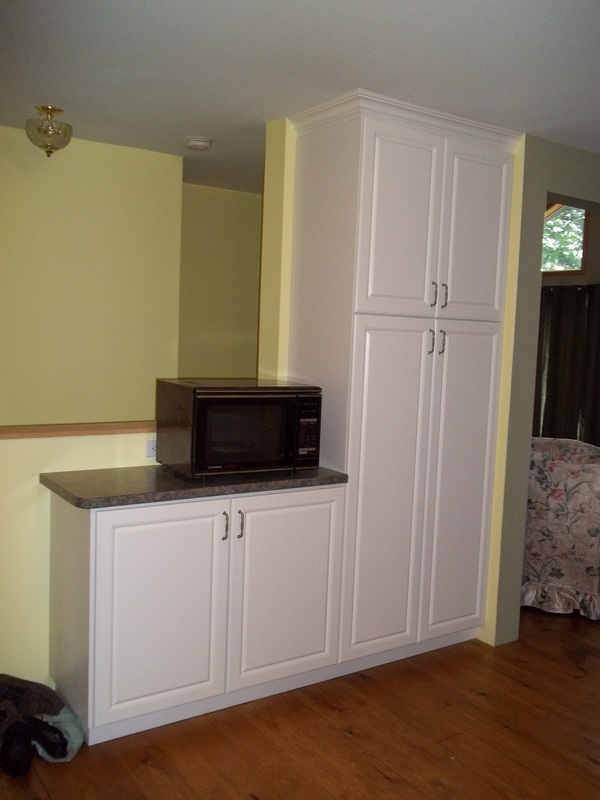 This kitchen design was for a renovation of a cottage. 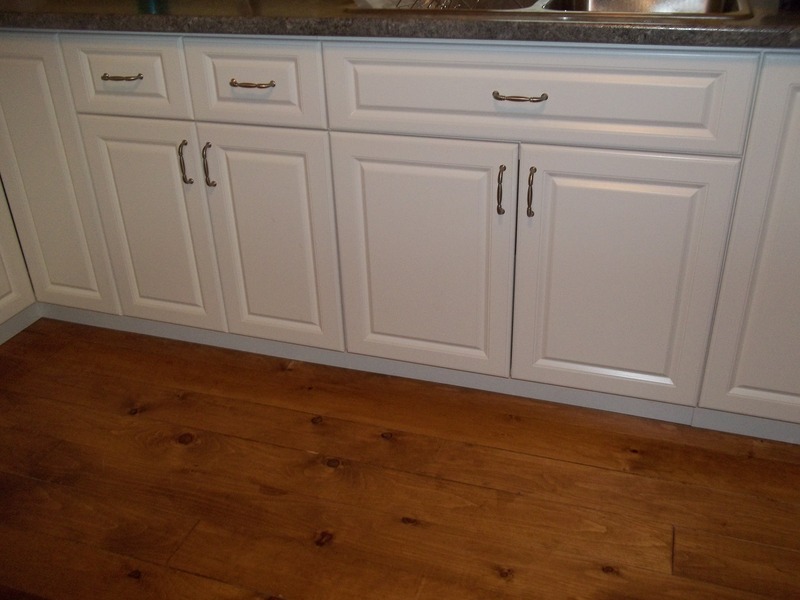 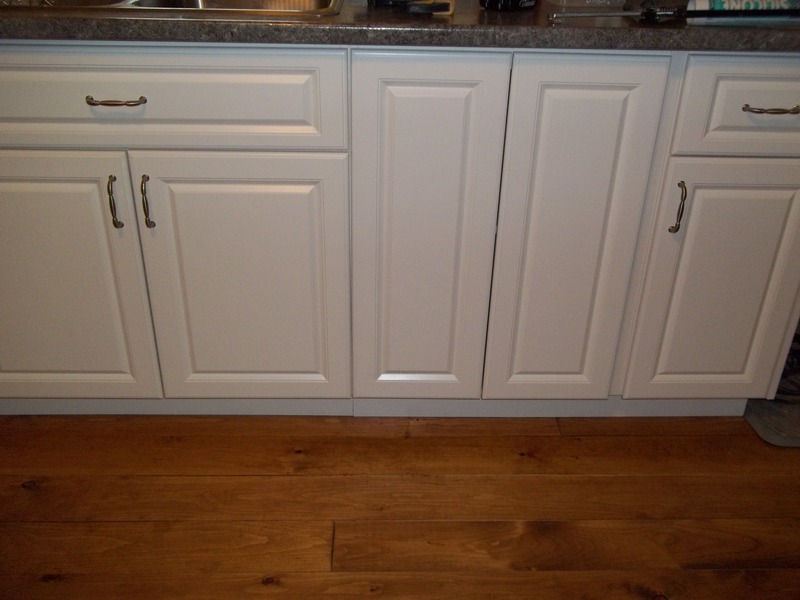 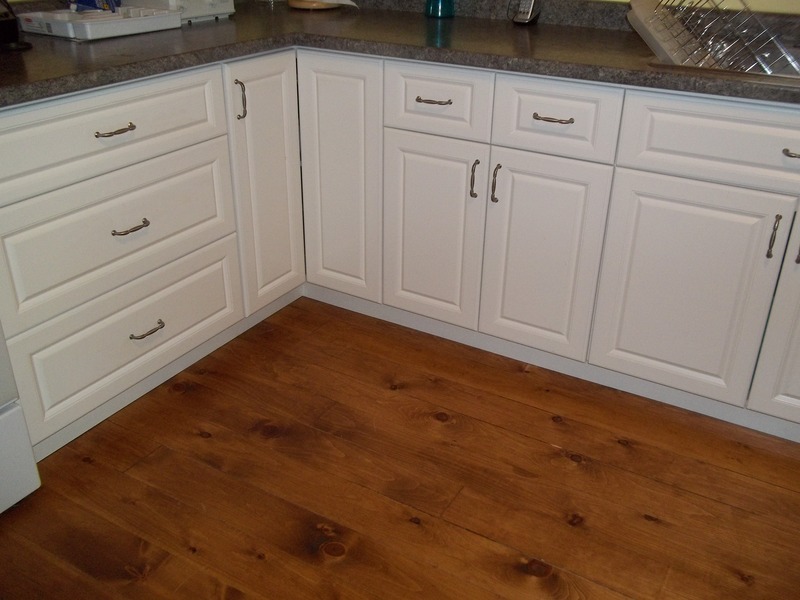 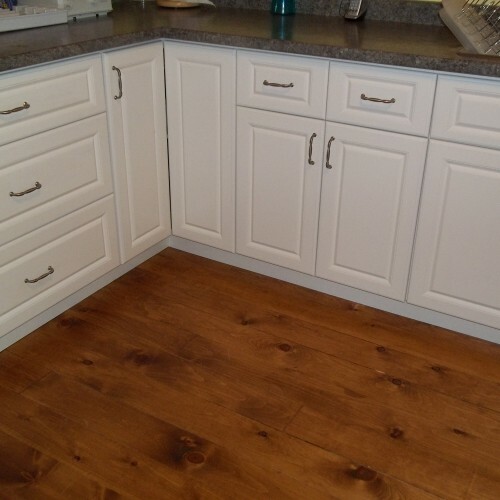 Our client chose a raised panel insert with a custom paint colour for the finish and laminate counter tops. 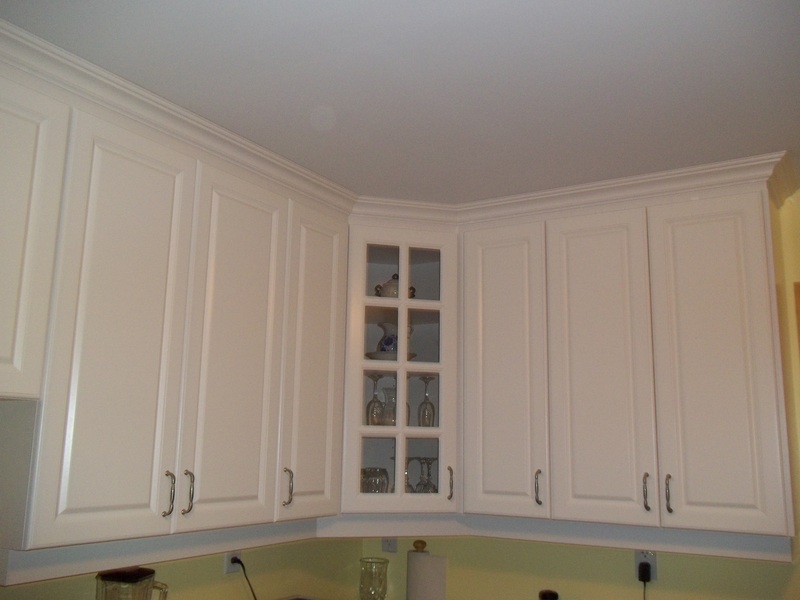 Glass panel door in the upper corner cupboard to display their finest glassware. 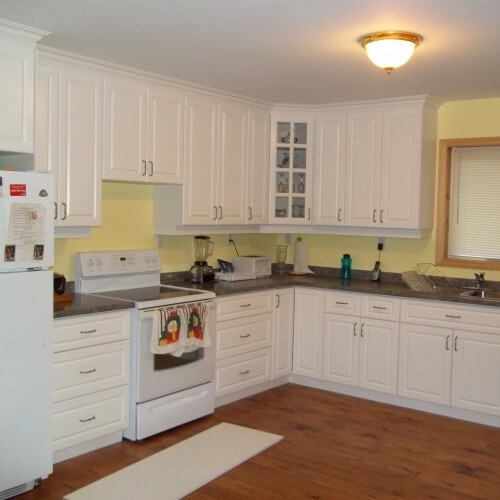 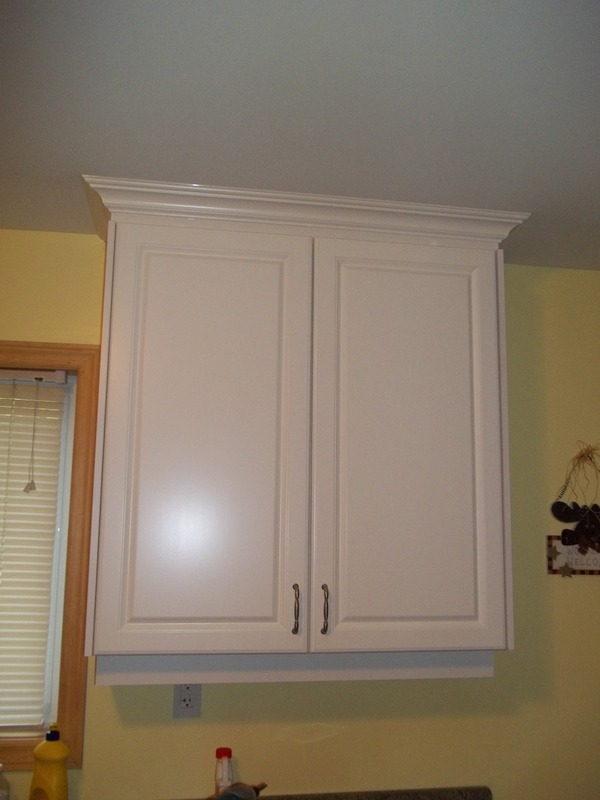 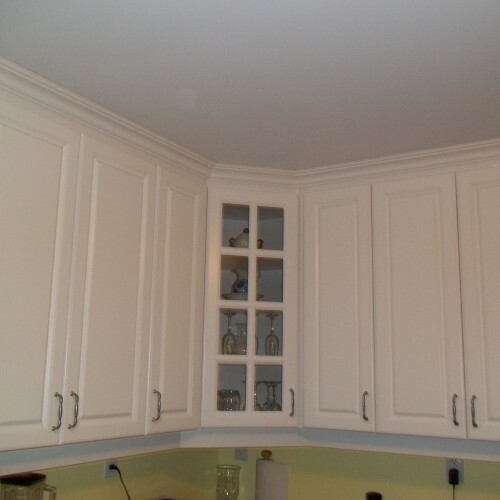 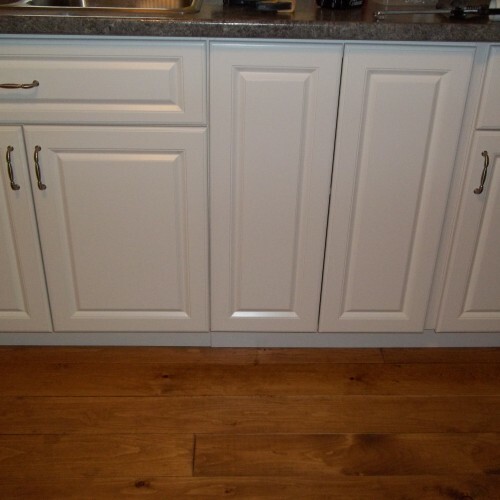 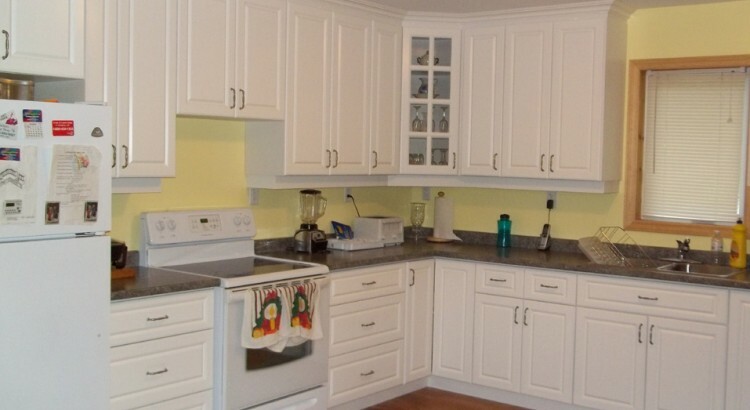 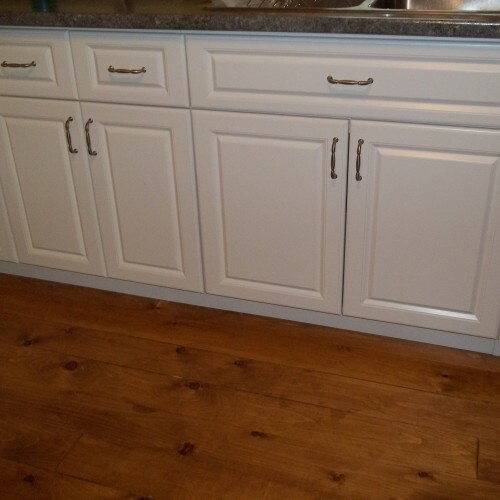 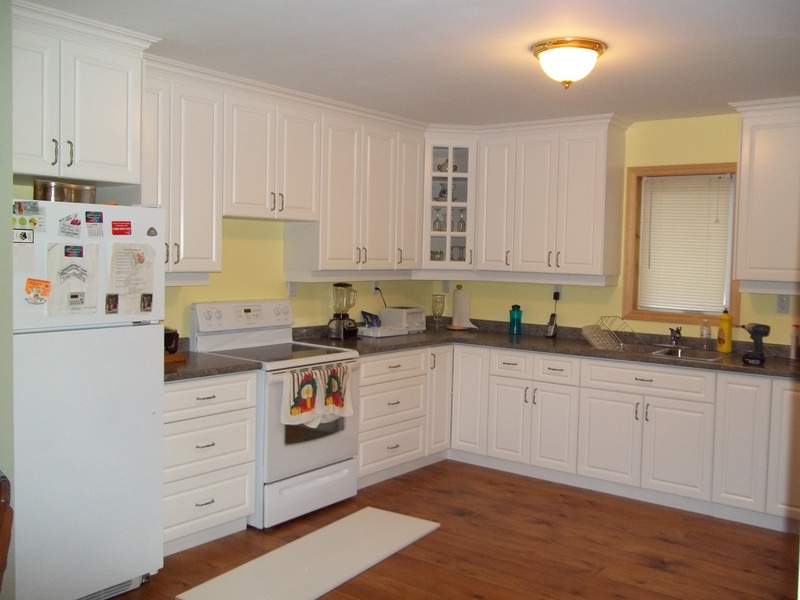 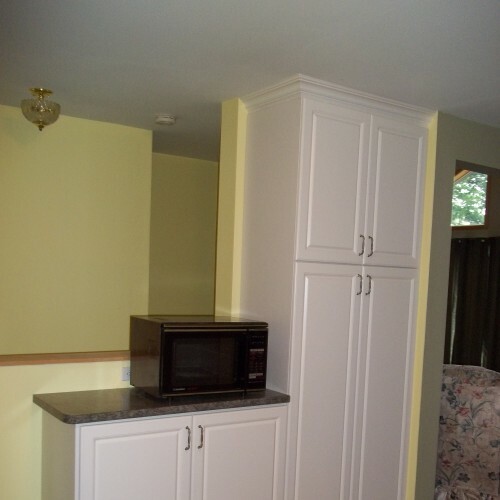 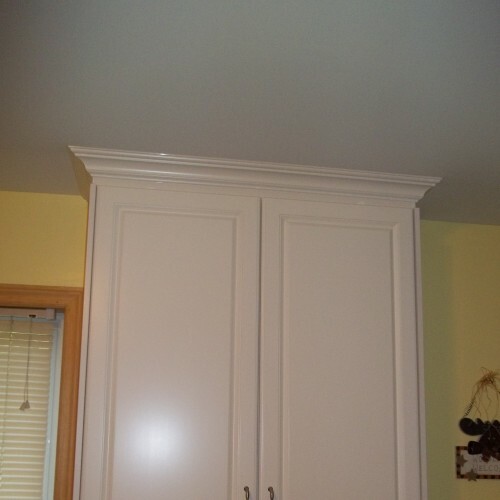 The cabinets were built to the ceiling to maximize storage space for this small kitchen.